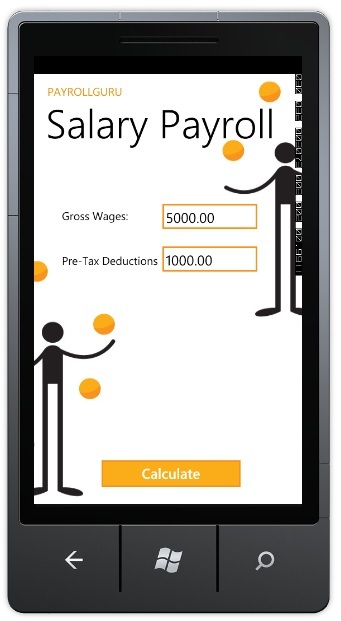 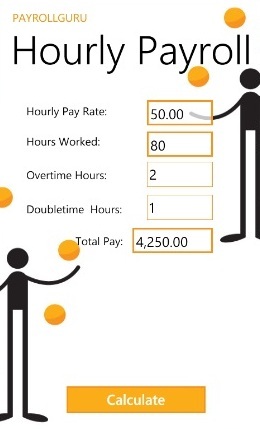 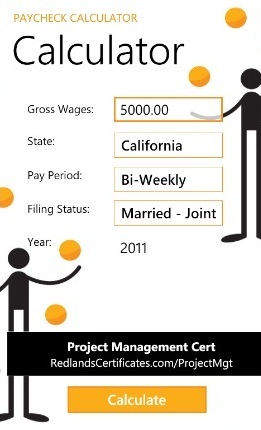 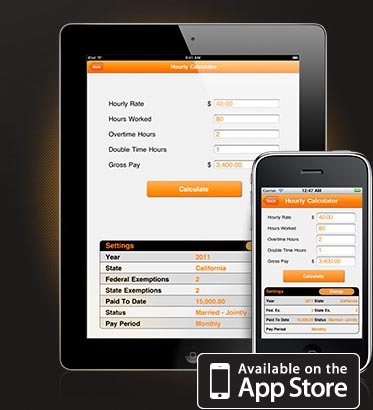 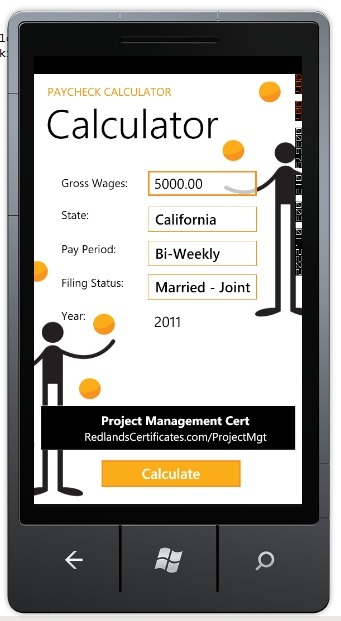 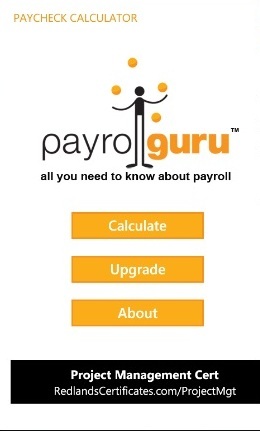 Use free or paid Paycheck Calculator app to calculate employee's payroll check. 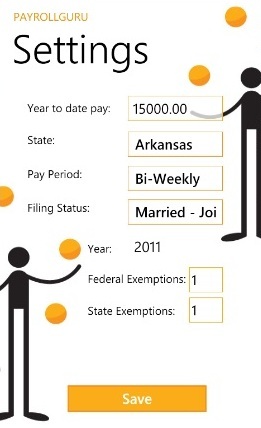 Calculate net paycheck, federal taxes, payroll withholdings, including SDI and SUI payroll state taxes. 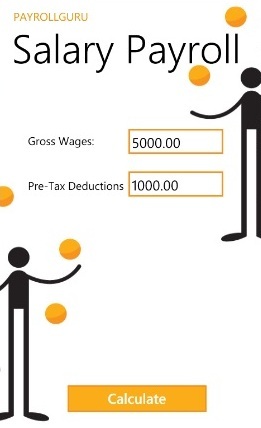 Display calculated paycheck on smartphone's screen, see paycheck distribution pie chart and email payroll check information to employee or employer. 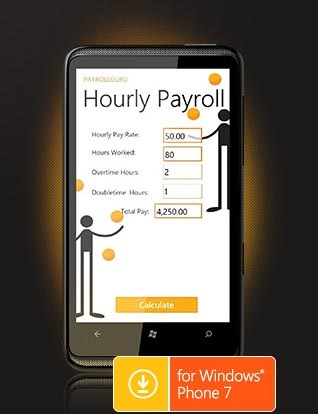 Use free or paid Paycheck Calculator app and precise Payroll Guru app to calculate employee's payroll check in the residence state. 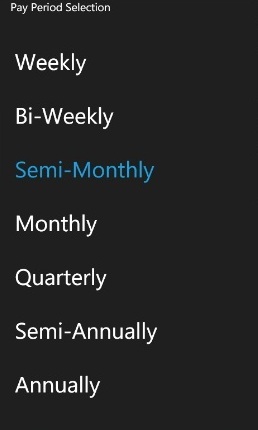 Calculate net paycheck, federal taxes, payroll withholdings, including SDI and SUI payroll state taxes with ease and on the go. 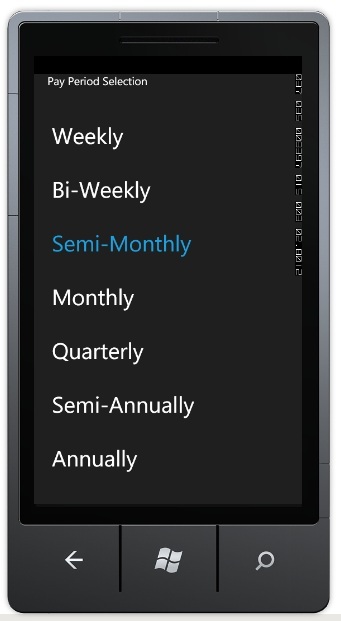 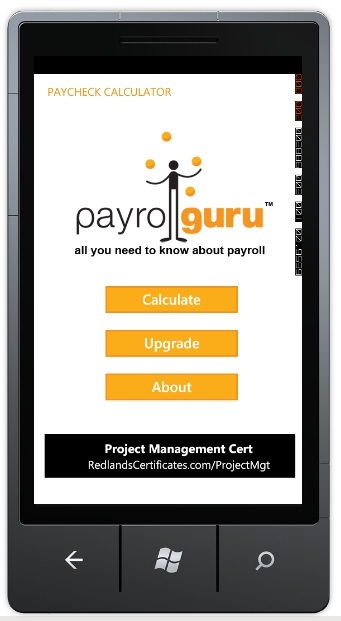 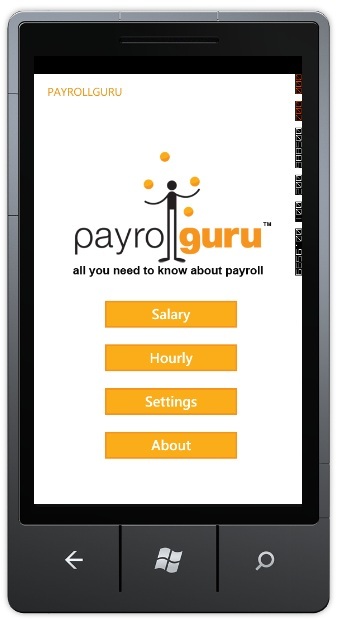 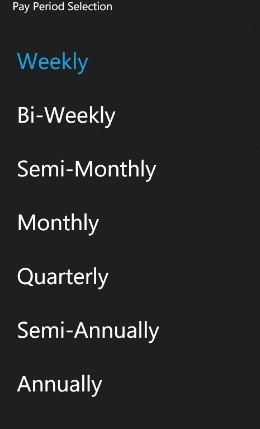 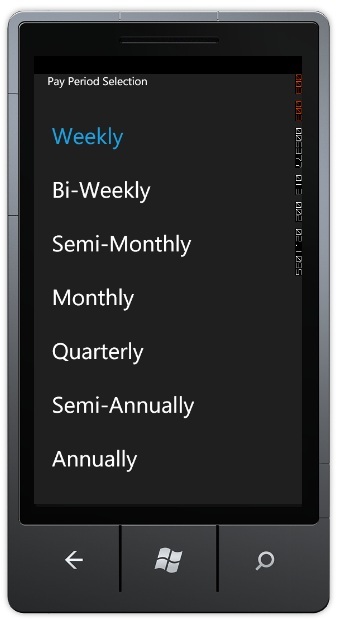 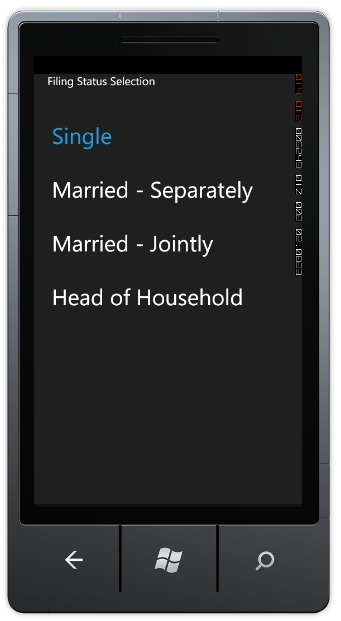 Payrollguru app is a paid app for Windows Phone 7. 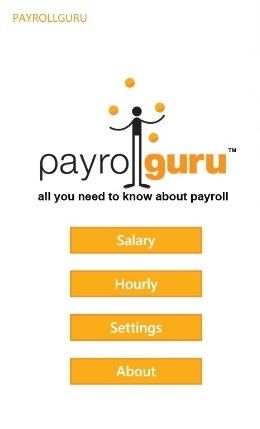 It's developed for business owners, payroll specialist and payroll gurus that need to calculate exact payroll amounts, including net pay (take home amount) and payroll taxes, that include federal withholding, medicare, social security, state income tax, state unemployment and state disability withholding, where applicable. 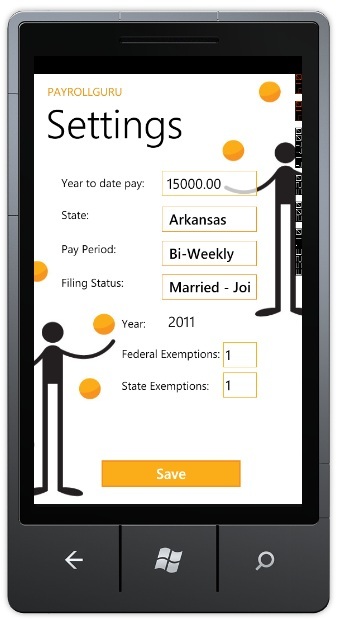 Description: The most accurate paycheck calculator app that calculates net paycheck amount from gross pay for 50 states. 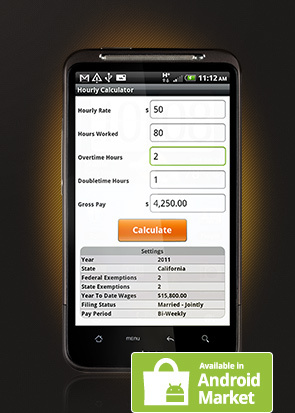 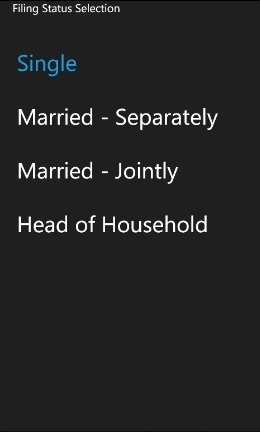 It allows for numerous settings profile, 4 deductions, includes Salary and Hourly calculation. 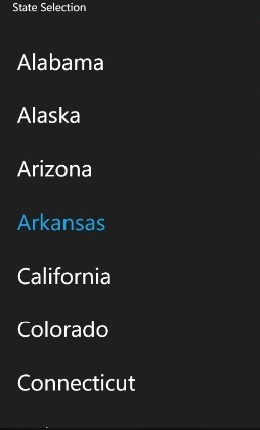 Description: Paycheck calculator that calculates net paycheck amount from gross pay for 50 states. 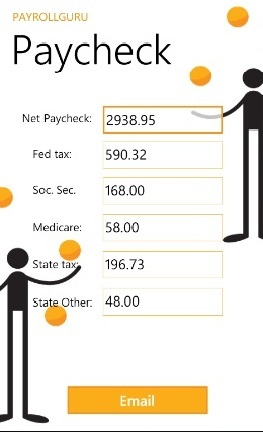 Description: Free paycheck calculator that calculates net paycheck amount from gross pay for 50 states.